In a time where Americans are becoming more conscious of both their environment and wallets, the idea of a dual flush toilet is nothing short of revolutionary. This cutting edge advancement in toilet technology allows a user to choose between different types of flushes. When one needs to dispose of liquid waste, the toilet has a specific flush function which uses less water for liquid waste than it would for solid waste. 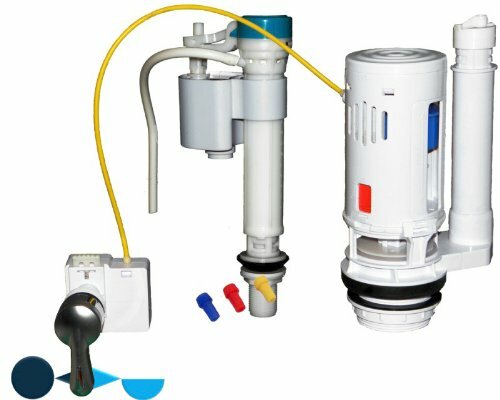 The other prominent benefit of a dual flush toilet system is that it can help cut down the water bill significantly. Installing a dual flush uses 67% less water than the ordinary toilet, which would translate to considerable savings on your monthly water bill. If you’re interested in having a dual flush toilet installed for either environmental or financial concerns the Mazzei Group can install a brand new dual flush toilet system. If a new toilet is not in your budget we could also convert your standard flush toilet into a dual flush.